Each guest room is equipped with free Wi-Fi Internet access, mini-refrigerator, microwave and flat-screen HDTV enjoy our free Baymont Breakfast Corner, complete with hot items. Our outdoor pool, hot tub and fitness center are ideal for working off tension after a long day. 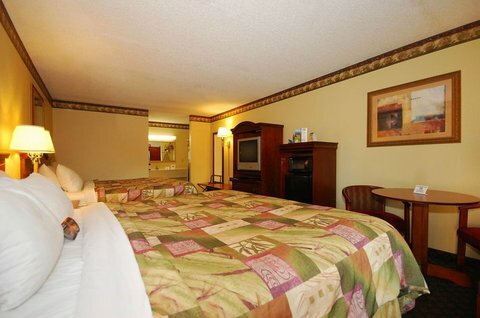 Take advantage of plenty of free parking, including large-vehicle and RV parking, and we can also accommodate trailers at our hotel in Lake City, Florida.